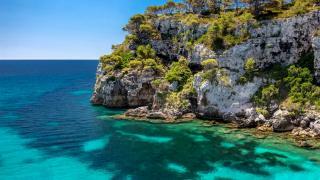 Possibly Europe’s oldest tourist trail! 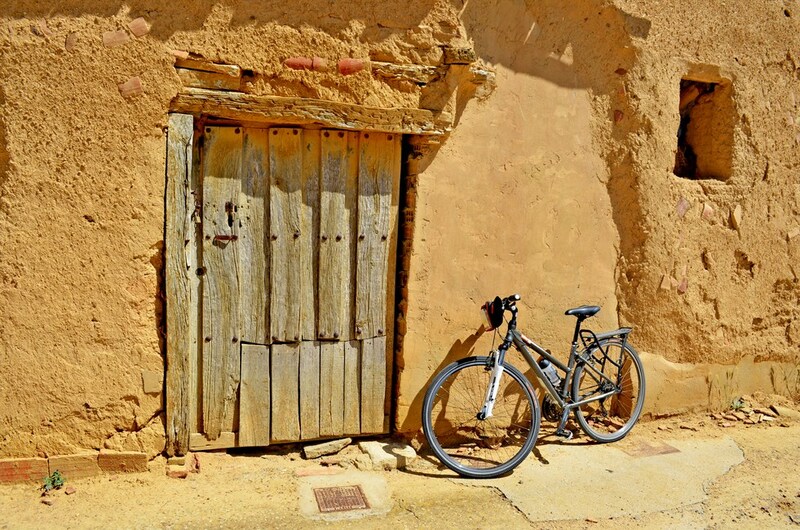 This Camino cycling trip features some of Spain’s most striking scenery and unforgettable architecture: an unbeatable cultural and historical bicycle trip. This “do it yourself” tour bring its down to its essence. 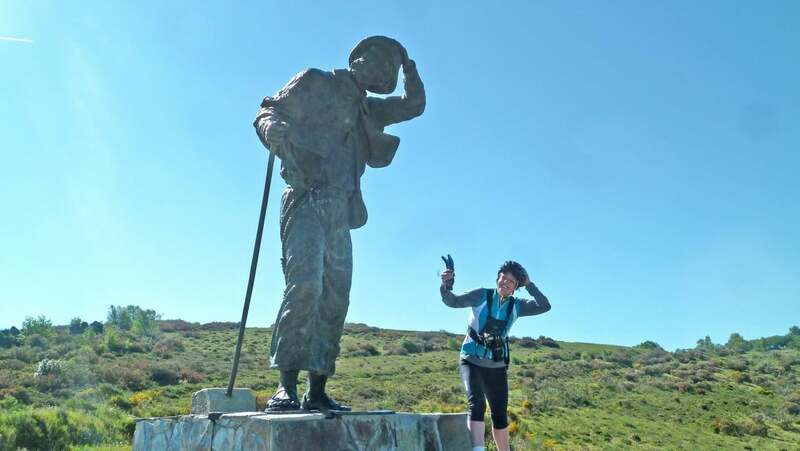 On our Camino de Santiago self-guided tour from Leon you will follow the ancient pilgrimage trail at your own pace. 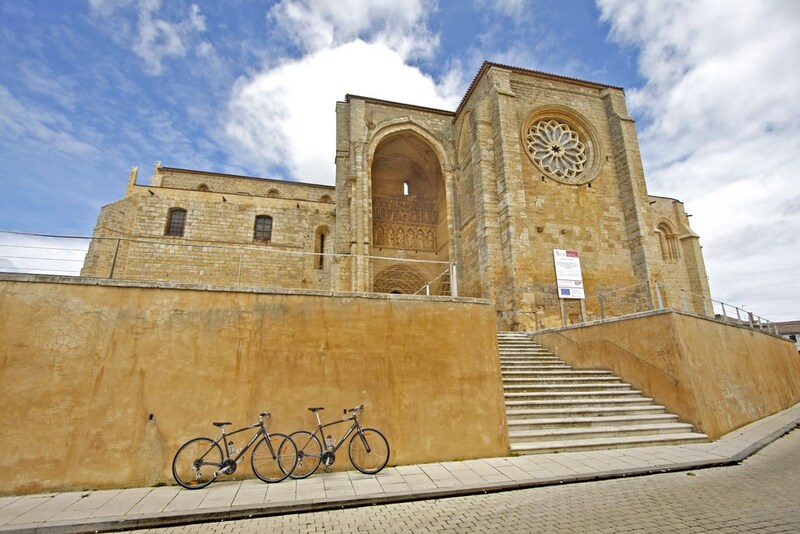 Starting from the Gothic Cathedral in Leon you will cycle across the rolling plains of Castile-Leon, once the historic seat of the Spanish Empire, over the mountains and into the more isolated and culturally independent Galicia. 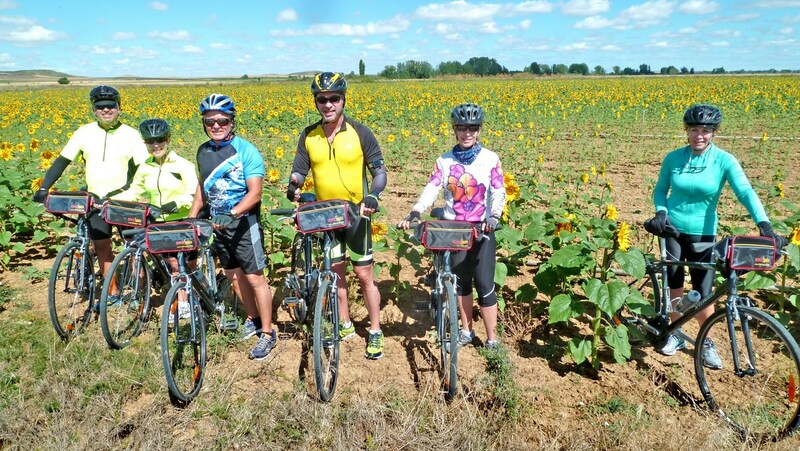 Along the 250 km biking trail from Leon to Santiago you will soak up the history of the region as you stay in charming, well-appointed accommodation and sample some of the best examples of Castilian and Galician food and wine. 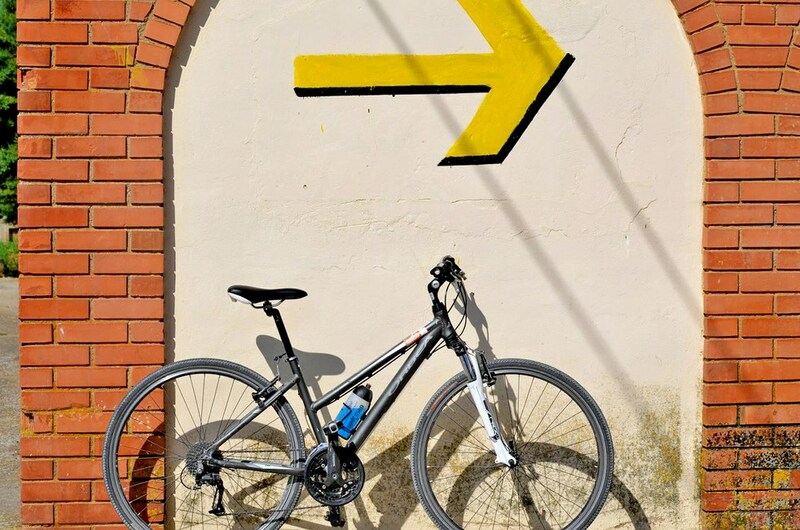 On arrival in León, you will find the information required for your journey at the hotel: a complete package including hotel vouchers, your touring bike with all accessories, detailed documentation with maps and a road book. 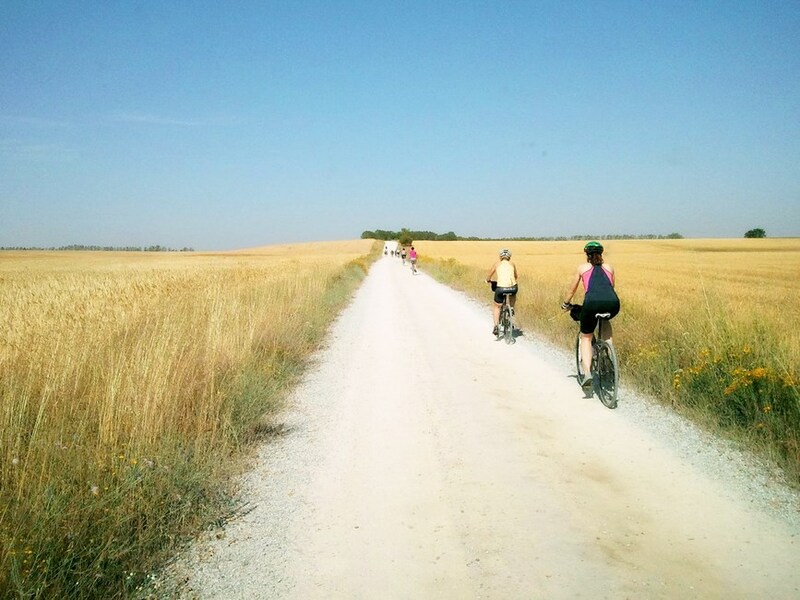 Today’s route takes us through classic Castilian landscapes, complete with holm oaks, golden wheat fields and gentle ups and downs. 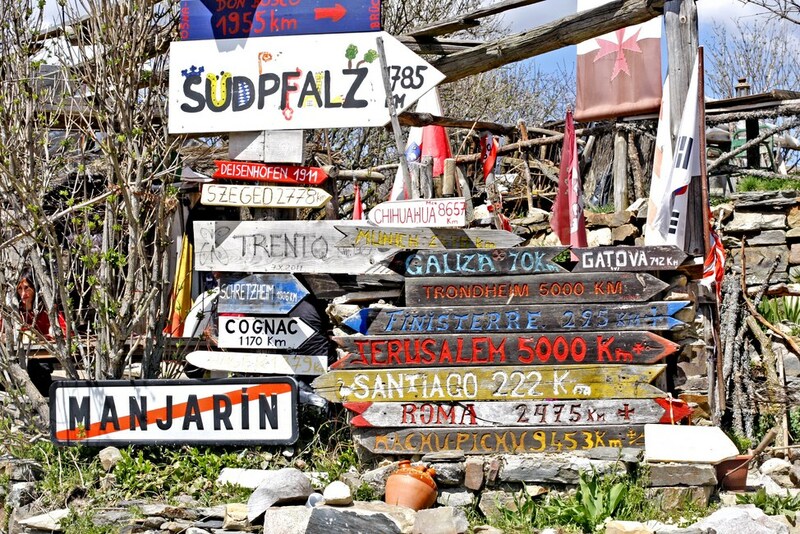 It’s hard to get lost: the route never strays far from the N120 highway. The landscape in the first half of the route is relatively dry, but gets greener the further west you get; you’ll cross fields full of diverse crops, such as wheat, corn, hops and wine grapes. Wildlife isn’t a big feature of this first part of the trip, though you will see geckoes, birds of prey and lot of dairy cows!. Astorga is home to three national monuments and one of the best Romanesque facades. 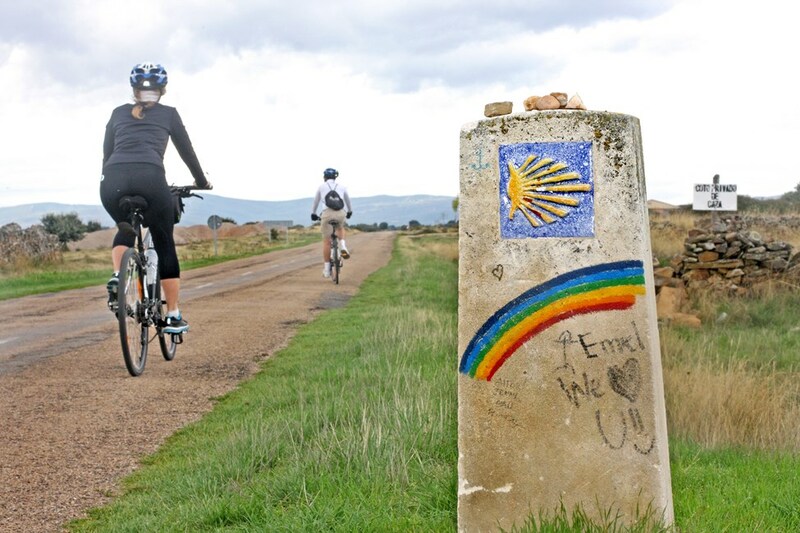 From Astorga, the Camino starts to climb gently until it meets the first mountain on the way. 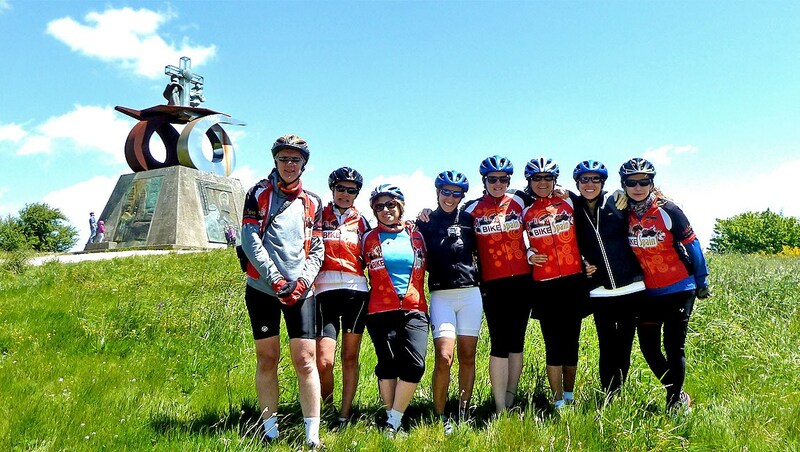 Once you’ve reached the top of Foncebadón, take it easy and enjoy the sweeping downhill ride and the gorgeous views on the ride through vineyards to Villafranca. 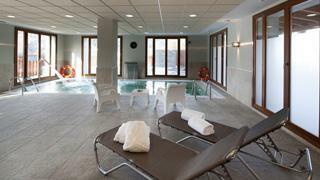 You will stay in the renovated Parador of Villafranca. 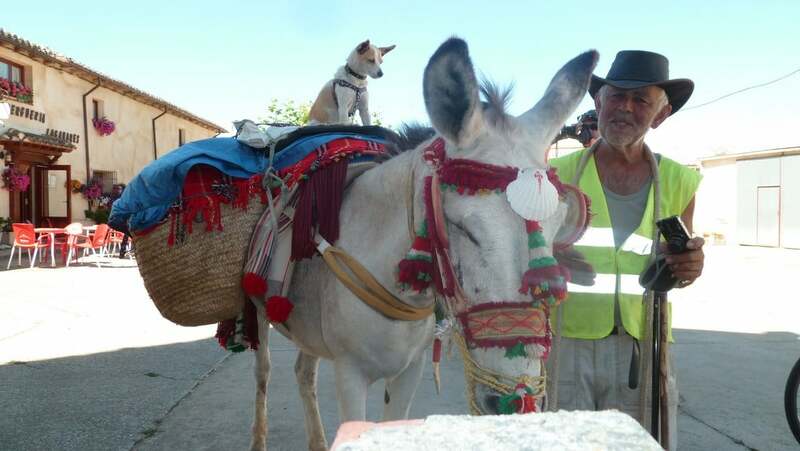 The town of Villafranca del Bierzo is a historical and artistic monument, was created to give refuge and sanctuary to the pilgrims before initiating the most difficult part of their pilgrimage. The monastery cloister is a Renaissance jewel. Elevation: +739m (with taxi) / +2156m. Get ready for the most challenging day. 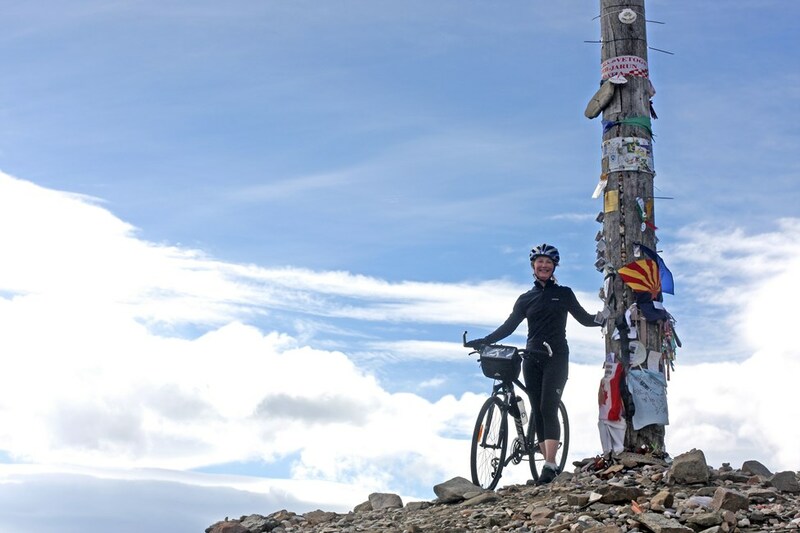 From Villafranca you ride slowly towards the mythical O’Cebreiro pass, the most demanding peak along the western section of the Camino. With a little patience it’s more than possible to reach the top, but in any case, a taxi is there to avoid it. 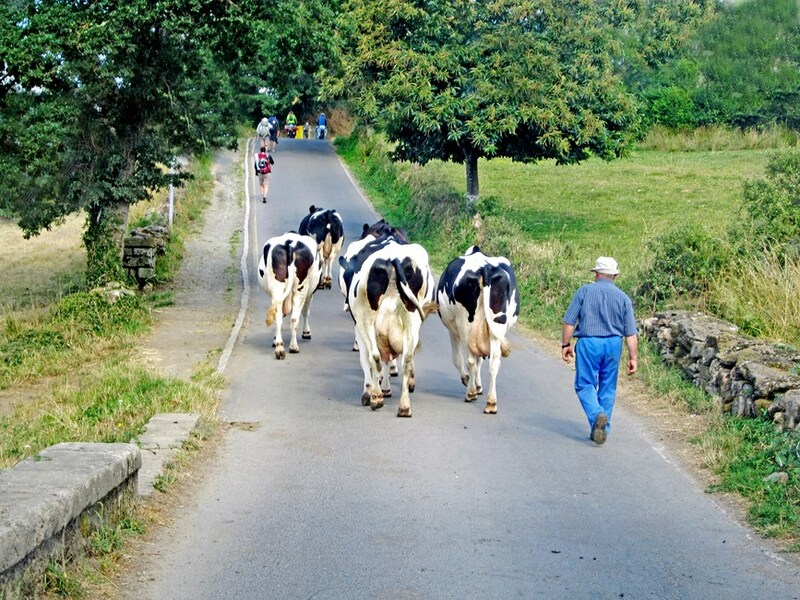 Then it’s downhill all the way to Sarria, and onward via a rolling route to Portomarín. The older neighborhoods of the town once belonged to the Order of Saint John of Jerusalem, but now lie submerged, covered by the waters of the Miño River dam. 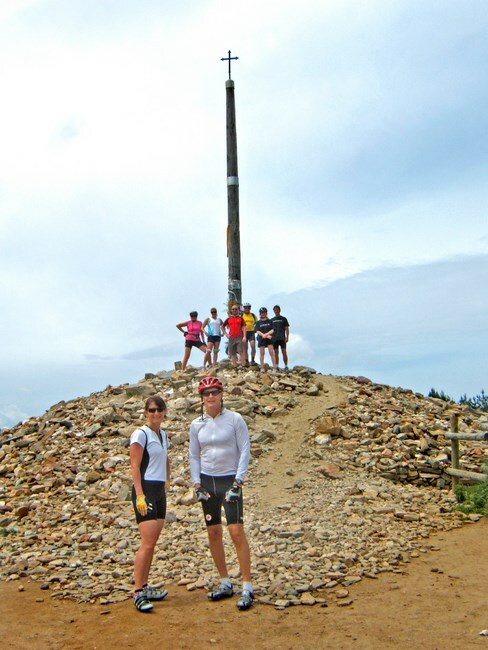 Even though we’re out of the mountains, doesn´t mean that the going gets easier. Today’s riding follows the Camino for 55 kilometers (with an optional side trip to a 700 year-old castle) through some of Galicia’s prettiest countryside. Even though we’re gradually losing altitude, the rolling Galician hillside might make you think otherwise. 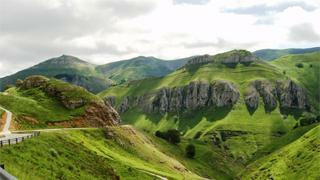 The route shows pilgrims the Celtic heart of Spain in one of the most un-Spanish places you’ve ever seen. Take your time and enjoy the sights! 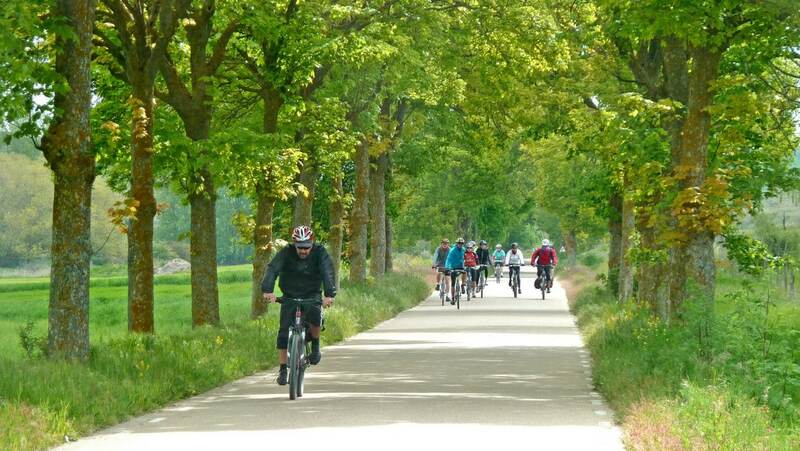 You will be cycling side by side with other pilgrims and locals while enjoying the deep inside Galician landscapes. 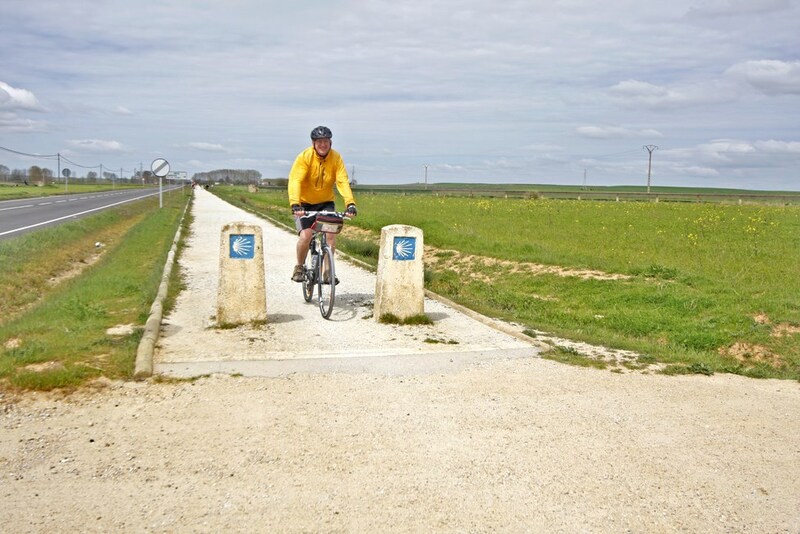 At some points, you will have the chance to choose between cycling on minor roads next to pilgrims or on nice trails. You will cycle through Palas de Rei and Melide, this last one it´s well known for its tasty Galician octopus recipe, don´t miss it! Don’t let the short length fool you; the final stage is short, but a little demanding! After approximately four hours of riding, cyclists become pilgrims upon arriving at the Pórtico de la Gloria (“The Façade of Glory”) at the Cathedral of Santiago. After taking a breath and celebrating with others arriving by foot and on horseback, you can visit the Pilgrims’ Office where you can obtain the “Compostela” the document certifying you as an official pilgrim (good for John Wayne jokes in the future!). Accommodation is centrally located, giving you the opportunity to explore the streets and bars of the atmospheric historic centre after dark. This city, without any doubt, is the most important of the Christian Middle Ages. 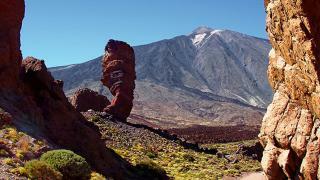 It is worldwide renowned and each year thousands of travelers come to visit its treasures. 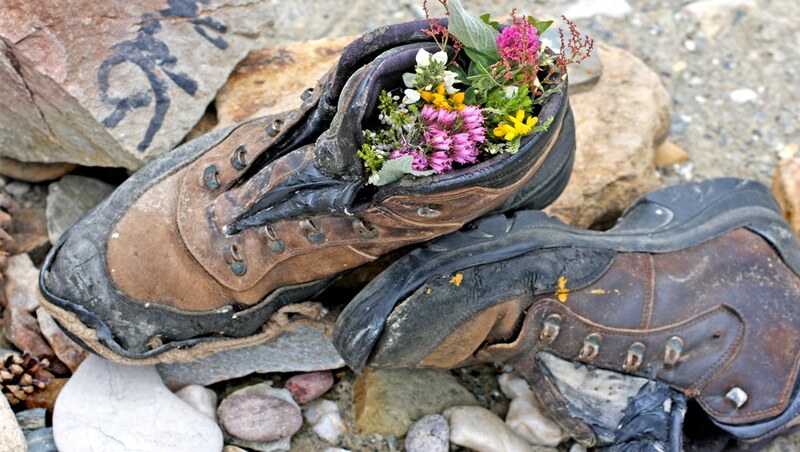 Rest your weary legs and bask in the glory as you reflect on a truly memorable journey. This is the final day of the tour. 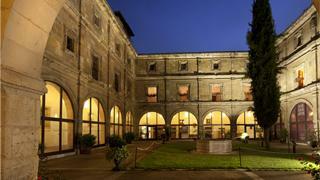 Located in Leon’s historical centre, in the heart of one of the most outstanding Romanic complexes in the Peninsula. The Royal Collegiate Church of Saint Isidoro Hotel is a restful sojourn in the Saint Jacob’s pilgrimage route, offering clients an experience they won’t easily forget. This modern hotel was built in 2011, on the stones of the convent of San Francisco. Its design gave priority to the space in the rooms, their equipment and the welcoming and contemporary decoration. The banquet rooms, in a separate building, are connected to the hotel by means of a walkway with double doors so nothing disturbs the rest. At the entrance to Villafranca del Bierzo, town of churches, monasteries, convents and fine buildings, stands this Parador. 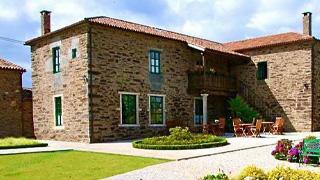 The leading tourist accommodation in the fascinating El Bierzo district. It is surrounded by mountains covered with cherry and fig trees, slopes dotted with chestnuts, poplars and small farms. 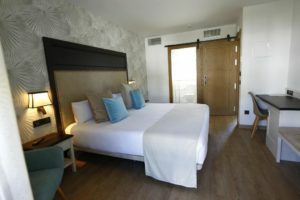 Recently renovated, Vistalegre Portomarín opened its doors in June 2018 to host guests who look for rest and relaxation. 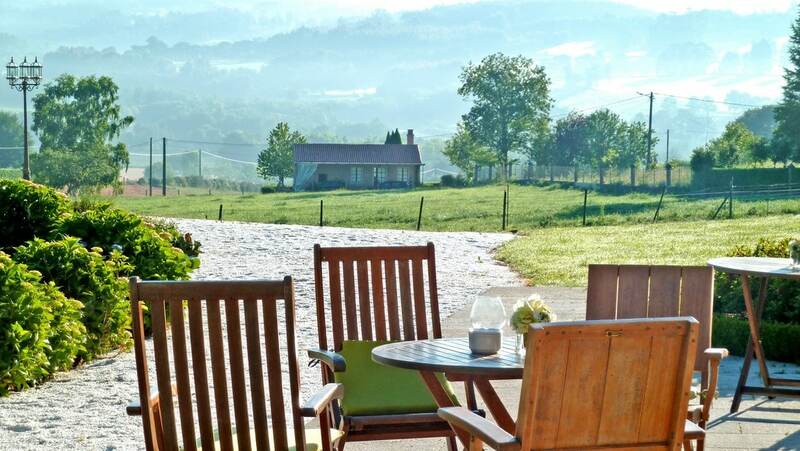 This hotel offers free WiFi and views to the garden. Every room is equiped with flat TV screen, en-suite bathroom, A/C and a desk. They serve buffet breakfast. The Hotel is a stately building whose origins date documented in the first half of the eighteenth century. In 2005 began his rehabilitation, carried out with the respect and affection it deserves preservation of historical heritage but at the same time, progress has incorporated all the amenities. Pazo Santa María has 16 lovely bedrooms located either in the Pazo’s main building or in the annexes (small individual “cottages” with ground-level entryways leading to beautiful bedrooms with baths). Exclusive Hotel for a customer looking for unique spaces and places with their own charm. 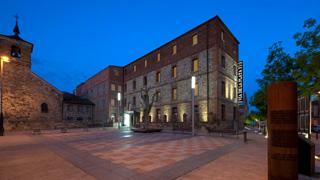 This is a refurbished building converted into a boutique hotel with 23 rooms. In the interior design, decoration materials have always sought to respect the native environment. The cathedral is just outside the hotel and the Obradoiro square is about a minute walk.